I was the main/only contact on a number of press releases published by the ARC Centre of Excellence for Free Radical Chemistry and Biotechnology, National Computational Infrastructure (NCI), and The University of Western Australia (UWA). I have written two articles on graphene for the Australian Resources and Investment magazine. I have given public talks at UWA on various topics, including computational chemistry and molecular design. 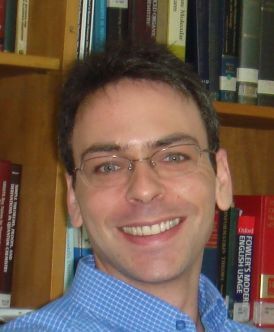 Associate Professor Amir Karton leads the computational chemistry group at the University of Western Australia. He currently holds an Australian Research Council Future Fellowship. His research interests are focused on the development of quantum chemical theory for the calculation of highly accurate chemical properties and the application of these procedures to problems of chemical structure, mechanism, and design. Amir’s computational research spans several disciplines, ranging from biochemistry to nano-chemistry. Amir received a number of prestigious awards including the Le Fèvre Medal from the Australian Academy of Science (2018), the Vice-Chancellor’s Early Career Investigators Award (UWA, 2016), and the Outstanding Young Investigator Award (UWA, 2013). For more information go to Amir’s webpage: http://www.chemtheorist.com.